It is a known fact that cell phones play a prominent role in personal and professional life, because they provide many facilities like call, text, mail and surf all in a go, which have become today’s necessity. These gadgets enable you to meet and exceed your targets. These devices allow you to perform multiple tasks and get connected with things. As technology is mounting, the number of gadgets are also keeping up with more and more new releases. 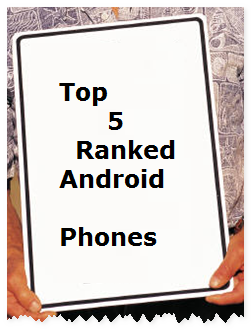 And Android is seeking to capture the number one place in the mobile mart. Here’s a look at the top Android phones in no particular order. This is a smartphone manufactured by Samsung with Android OS, 4.1 Jelly Bean version. It is ranked on top because of its brimming features and specifications. It has larger screen size 5.5inches AMOLED display, 8mp camera with from camera of 1.9 MP’s. Its battery capacity is 3100mAh, better than expected. It holds 1.6GHz CPU speed with quad core processor which gives out blazing performance and also user-friendly. GPS navigation and DLNA features are outstanding. It weighs 180 grams. This is the best selling Verizon wireless Android Smartphone in the market. It has key features like the 4.3inch edge-to-edge display, Circle widgets, Premium materials, Smart actions applications, and near field communications (NFC). It is released based on service type sales. One can be thrilled enough to watch movies on this device as it’s slim chassis looks fantastic. But the battery life is disappointing. This gadget is manufactured by Sony dealers with premium build Android OS and 2.3 OS version. The display technology of this is LED-backlit LCD. The screen resolution differs little here with 720*1280 in pixels. It enables 2G talk time up to 7 hours. The typing of text and email is easy through the touch Screen keypad. The device fits well in hand. GPS navigation and many built-in applications are available. The camera works well at times but bad for night shots. The tool supports 1GB Ram. This product was launched in 2012 which beat the mobile mart. It has solid performance and excellent display with vibrant colors. It is the first quad-core processor handset powered from LG. Its specifications and features ranked equal to another android gadget. The 4X HD’s 8megapixel camera is very good for shooting videos and capturing pictures. Cons are it looks simple with a single design but its gigantic. This one is for HTC lovers who wanted improvements in HTC Sense and battery life. It supports 1GB RAM with 8MP LED Flash quality. It also enables HD video recording and smile detection features. The chipset used here is the Nvidia Tegra 3 with Quad processor. It supports the HTML and Adobe Flash browsers. HTC boosts out with good, clear audio. It has many inbuilt applications which increase the performance of the device. It is an awesome phone to be used with all desired specifications and functions. These are the top Android phones currently doing well in the top order in the mobile market. As these devices are on the pricey side, one can opt for any cash loans or consider PPI claims. Choose the best devices and be part of the tech evolution.